Ministers, Postmasters General and other high ranking officials from across the world will be converging in the Territory for the18th Annual Caribbean Postal Union (CPU) Conference. Postmaster General and Conference Coordinator, Ms. Pascha Stoutt said that the CPU provides a platform to address regional issues, plans, coordinates regional postal activities, and provides technical and operational support for Post Offices in the region. Ms. Stoutt stated that the transportation issues that the entire region is experiencing will be discussed in detail during the conference, as well as proposals to find solutions to these issues. Other major topics that will be discussed are harmonisation, sustainability, ecommerce, postal security, and service diversity. 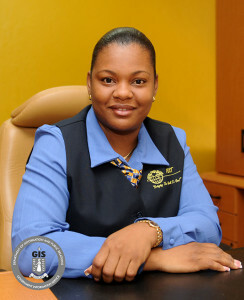 The Postmaster General added that the BVI POST has begun the process of diversifying its services offered to the public. These she said include expanding some existing services and the introduction of at least one new service. “We will be expanding our Amerijet service to include sea freight as it currently only offers air freight. We will also introduce our Business Center. The Business Center will gear towards fulfilling our customers’ requests for copy, fax, scanning and limited printing services,” she said. The conference will include the Universal Postal Union Regional Strategy Conference and the Council of Ministers of Postal Affairs meetings. The CPU aims to improve the response to customers’ requirements for postal facilities and services of all kinds; to facilitate the improvement and security of postal services; to co-ordinate postal training arrangements and postal operational services; and to promote international postal cooperation in the spirit and observance of the Acts of the Universal Postal Union. Member States of the Caribbean Postal Union include Anguilla, Antigua & Barbuda, Aruba, Bahamas, Barbados, Belize, Bermuda, Canada, Cayman Islands, Cuba, Dominica, France, Grenada, Guyana, Haiti, Jamaica, Montserrat, Curacao, The Netherlands, Dominican Republic, St Kitts/Nevis, St Lucia, St Vincent, St Maartin, Suriname, Switzerland, Trinidad & Tobago, Turks & Caicos, United States and United Kingdom.